award from one of the most trusted industry publications, Light Reading. Foundation, turns any compute device into an edge software platform. 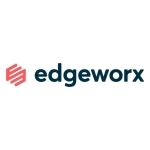 follow us on Twitter at www.twitter.com/edgeworxio.